Gore gets bitten again by another factual blunder | Watts Up With That? Gore again, this time it is about mosquitoes, malaria, and elevation. Some history checking by mosquito epidemiologist Paul Reiter reveals he’s wrong about Nairobi. Turns out that some species can live as high as 10,000 feet. Even as far back as 1927 in this letter to Time Magazine, people knew of mosquitoes at the snow line. A 1960 study shows mosquitoes in the California Sierra Nevada mountains and another shows mosquitoes in the mountains of Africa. Of course those aren’t malaria carrying anopheles mosquitoes, but I’ll point out that Gore was not specific about which mosquitoes were “climbing”. And if there is indeed a mosquito borne malaria problem in Nairobi, there’s this contradictory evidence: In a presentation during the 8th International Conference on Urban Health, held in Nairobi 18–23 October 2009, it was stated that of nearly one thousand Nairobi residents tested, none were positive for malaria. There has been a resurgence of malaria in Kenya though. It may have something to do with this: Kenyan scientists are embroiled in a deepening controversy over whether Kenya should lift a ban on the pesticide DDT in a bid to reduce deaths from malaria. you will find a listing for the native Anopheles freeborni listed as a malaria vector and with habitat that ranges at least up to 6000 feet. Al Gore’s film, An Inconvenient Truth, was a masterpiece. Like an elder brother to all humanity, he patiently explained the familiar litany of disasters — droughts, floods, hurricanes, sea-level rise and the rest — spiced with heartrending personal stories: his baby son’s near-fatal accident, the agony of losing a sister to lung cancer. It was a science lecture crafted by Hollywood. In his book — the version for adults, not the one for schoolchildren — he even included a colour photograph of a corpse, a young man, floating face downward, drowned by Hurricane Katrina. I wonder whether the dead boy’s family were consulted. I am a scientist, not a climatologist, so I don’t dabble in climatology. My speciality is the epidemiology of mosquito-borne diseases. As the film began, I knew Mr Gore would get to mosquitoes: they’re a favourite with climate-change activists. When he got to them, it was all I feared. December 16, 2009 in Al Gore, Climate_change. I´ve seen some malaria mosquitoes around his beach property. Be careful Al baby! As a psychologist, fear and pain contribute to changes in behavior. Gore can use drama and repetition to induce fear. Random anecdotes do not make for good data Al. Al “The Liar” Gore. Or Al “The Liar for $$$” Gore. Man … how does he show his face??? Malaria is a disease of poor countries, not of hot countries. North Korea has malaria, Australia does not. The USSR had malaria in the 1930s and so did England in the Little Ice Age, of all times. Shut down economies in the name of CO2 reduction and more people will die from malaria. Of course, the climbing habits of mosquitoes would be a curiosity at best if the Sierra Club types – the forerunners of the AGW cult – had not forced us to outlaw DDT. Thanks a lot, Rachel. As a tennager in the early 1970’s I went on a high school backpacking trip in the California Sierra Nevada’s. We hiked above the tree line and I was plagued by mosquitos the whole trip. I remember being suprised that clouds of mosquitos followed me on to the small snow fields that remained at the higher altitudes. I was being so badly bitten that my science teacher (Mr. Guilow) gave me his hat-mounted mosquito net. My army surplus mosquito repellent was useless. We would sit in the smoke of the campfire to avoid being bitten at night, There were so many mosquitos that they added to the protien content the evening meals because it was impossible to keep them all out of the pot. Malaria, as carried by mosquitos, requires still water. So damp and marshy conditions are perfect. Tropical monssons followed by good sunshine levels even better, but not an absolute requirement. Marshland areas just to the east of London (UK) were know to be a source of ‘ague’ (basically malaria it was later discovered) until the land started to be drained for development in the late 1800s early 1900s. The life expectancy in those areas was lower even than in the city. Those that lived there were recognised as people with weak constitutions – probably wrongly as it turned out. It is disgraceful that ‘the media’ fail to offer well documented knowledge to challenge broadbrush statements from the likes of Gore. et al. The mosquito line? Is that similar to the flea and tick line, above which you won’t find any? I had read the resurgence of malaria was (at least partially) attributed to an increasing drug resistance, namely one or more strains resistant to chloroquine. Other drug resistances will arise in time, as expected. Which will be attributed to global warming or whatever the cause du jour is, as dreaded. Now we’re beginning to see why ‘Ol Bro Al won’t let anyone film his lectures. DDT is yet another example of how these [snip] continue to use fear and bogus data to implement schemes which have long term negative affects on humanity. But it’s ok because they feel good about themselves. How stupid do you have to be to listen to anything Al Gore spews? He is a walking embarrassment. Slightly OT… but this is most important. Did anyone see the Monbiot/Plimer debate from Auz yesterday? I hate to say it, but Monbiot (who I’m not a fan of) absolutely destroyed the dissembling Plimer who’s pitiful: ”you’re a journalist’ quasi ad hominems, were brutal to watch. Hostile environment be damned! ANYONE, let alone a skeptical scientist, absolutely must be able to wade into a debate, anytime/anywhere and quote one’s own literature chapter and verse!!! Even worse… becuase of the total car crash that was Plimer re: Monbiot’s challenge on Keller’s (sic) paper – 1/13 questions Plimer had days to perpare for in advance – I now find myself questioning whether or not there actually has been non-statiscially significant warming since ’98. Oliver Cromwell died of malaria in the deep of LIA in medieval England. Truth gets gored – again. November and December are cold. How about Tuscon in July? Except for the hookers, it has no chance of rain/snow hampering discussion. If a for-profit company spokesman lies or makes inaccurate statements, he and the company are held liable. It’s called “truth in advertising.” I think it’s time we held public figures, government employees, and elected officials to the same standards. Maybe that can be a rallying cry of a new Tea Party reform push. Malaria is supposed to have killed around 500 men during the construction of the Rideau Canal between Ottawa and Kingston Ontario in the 19th century. Canada is hardly a tropical country, and malaria is not a tropical disease. Malaria was a major problem for Allied soldiers in Italy during WWII. Italy did not finally rid itself of malaria until the early 1970s, when the Communist government finally caved in to the evidence that prosperity, education, and medicine could not do the trick alone and it began a DDT spray program. “Malaria”, by the way, is an Italian word, and has two components “Mal” meaning “bad” and “Aria” meaning “air”. The name came from the 18th and 19th centuries, a period in which disease was thought to be caused by poisonous air (miasma) leading to such social reforms as building effective sewers and draining swamps near towns. These, of course, did help the cause, but in the case of malaria, we in developed countries can be thankful for the invention of DDT. Re: malaria is not just a disease of hot countries: The largest, and maybe the most aggressive mosquitos, I’ve seen were not in the tropics, but in Alaska. There’s a high correlation between not using DDT and local increases in malaria. The numbers of deaths involved dwarf some better known genocides. The EU Commission appear to be experts in promoting bad science and appear to have zero conscience about the negative consequences on both local and global populations. Remarkable little bug the mosquito, it don’t think much but it sure gets around. Al Gore gets around alot, it sure don’t think much though. Wouldn’t you love to give Al Gore (and Obama) a simple science exam. Maybe something on the order of the tests in my General Science eighth grade classes. Or an Introductory Physical and Historical Geology exam. While we’re at it how about an exam in functional math. I’ll bet the blowhard couldn’t pass a freshman algebra, geometry, or trig exam. I think both Gore and Obama are scientific dunces. He deserves nothing but contempt for his self-serving stupidity. If politicians were held responsible for the effects of what they say and do – as the rest of us are – wouldn’t the world be a far better place? What does that mean? Instant replays? Do-overs? The AGW Magicians/fakirs believe they can stop time? Can these AGW fakirs also walk on fire? Plimer didn’t do himself any favours and seemed evasive – if I didn’t know of him, I wouldn’t buy a used car from him based on that. Monbiot is not my cup of tea but he did seem more credible – is Plimer usually like this? That holding up of his book looked like a promo push too – not a good look. There was malaria in the Klondike, turn of the century Gold Rush. The Netherlands where declared Malaria free by the WHO in 1970 after the last endemic case in 1956 and Malaria was first seen in the Netherlands somewhere in the 17th century when it was known as “Zeeland koorts”. And it has a personal touch for me, my dad who is now 71 years old suffered from Malaria when he was a kid. So Gorebull, what’s up next, the pine-beetle? reminiscent of a verse from Bob Dylan’s ‘A Hard Rain’s agonna Fall.’ Check it out. Hmm…observed at 3000m. Told to us by a “scientist, not a climatologist”. Talk about an inconvenient truth. After his repeated instances of foot-in-mouth untruths, perhaps Al should stick to Hollywood fiction. He seems to be pretty good at making things up. Six American presidents have contracted Malaria- although non of late. The CDC shows malaria was endemic to almost every State east of the Misissippi River until about 1940. Malaria is not a tropical disease. One of the arguments against siting our nation’s capitol in Washington was that it was a “malarial swamp” Yellow fever is also not a tropical disease and was a scourge in Philadelphia at the time of our Founding Fathers. There is also a problem in the accuracy of malaria reporting. In a recent study in Kenya, about two thirds of people who had been diagnosed and treated for malaria were found, in fact, to have never had the disease to begin with. When patients present with a certain set of symptoms, they — and often the doctor — simply assume the cause. Pilmer is not fit for purpose, in my opinion. He has made factual errors in previous interviews, such as claiming that volcanoes emit more CO2 than humans. Coming from a geologist, that is really wierd. He is almost as big an embarrasment as Al Gore. History is being rewritten by the warmists. They tried, and are still trying, to remove the “putative” MWP, and they are recasting malaria as a disease of warmth when it is a historical fact that malaria has been prevalent in cold as well as warm climates. In a recent interview, I witness Piers Corbyn snort derisively at a Russian WWF activist for making the blatantly false claim that malaria was unknown in Russia until the present. Re: Pilmer. I cringed in an earlier interview when he claimed that CO2 levels were 1000 times higher in the geological past than they are at present. I don’t know where he got those figures from. Fortunately it was a solo interview, not a debate. ALGore must have some mental issues. He appears to be a pathological liar / exxagerator. I would feel sorry for him …. if he wasn’t trying to drive the world’s economy off a cliff. The good news is the more he talks, the more people realize he is incapable of telling the “truth”. Haven’t seen it yet, but Ian made some pretty wild (unfounded?) scientific claims in his book alongside his political critique of CAGW theory. He had plenty of time to prepare, Monbiot had given him plenty of fair warning on what his complaints were… if he couldn’t hang it was his fault. As Prof. Reiter has pointed out elsewhere (evidence to the UK House of Lords Committee on Economic Affairs, 2005) the largest outbreak of malaria ever recorded was in the Soviet Union in the 1930’s. 10000 people died in the city of Archangel alone, almost on the Arctic Circle. Why does this snargebrain never learn? Perhaps because, as a politician, he is never wrong (in his own estimation). Ah, yes. I remember it well. The year was 1962. I was on a trip and visited Crater Lake in Oregon. The mosquitoes ate me alive. Crater Lake, as you may know, is at high elevation. Although it was the middle of June, there was still snow on the ground under the trees. I was quite surprised, as I had read that mosquitoes were found at low elevations. The Gore claim is false, as are so many of his claims. Malaria is not restricted to tropical areas at all – even a few places in Norway used to have it. If anyone doubts mosquitoes can thrive in high altitude environments I suggest they take a trip to “Mosquito pass” in Colorado. It is called that for a very good reason! The mosquitoes in summer time are huge, and thick enough many people will not get out of their cars when they are anywhere near the melt water ponds where they breed. Gore Making Claims of Melting Glaciers at La Paz, Bolivia. How can he say that it’s AGW? Anyone? The man is starting to make Dan Quayle look bright. 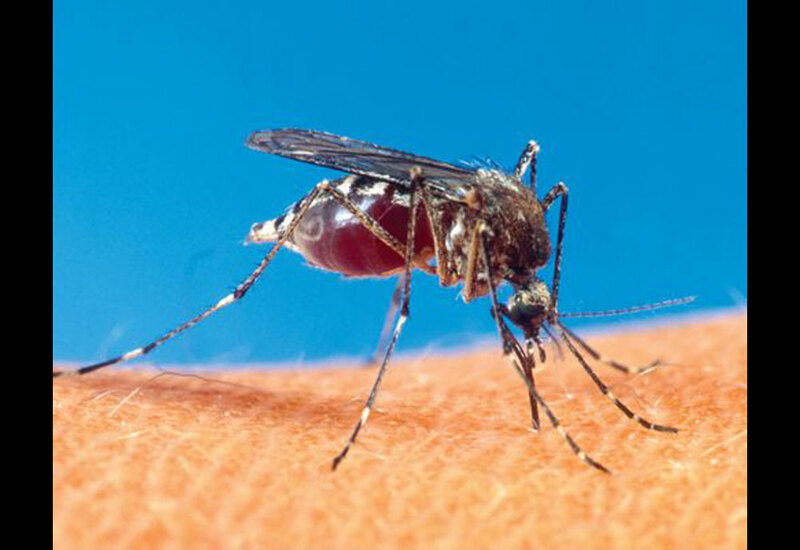 A man was camping in Alaska, and discovered two mosquitoes had gotten into his tent. He heard them talking. Europe was plagued by malaria in the past, true, but not like Africa. Not all “malaria” is equal. That said, I don’t think Gore was worrying about which type of malaria either. Fine, but when warmists claim that malaria is moving to hitherto malaria free places because of global warming, what malaria are they talking about? If it’s European malaria then this is nothing to do with warming, and if its African malaria, they are simply misinformed – it isn’t moving to Europe, or any other high latitudes. There are lots of mosquitoes at high altitude but not malaria mosquitoes. I have to wear a mosquito net at 11,000 ft near the lakes I hike to. Isn’t Paul Reiter the guy who had to threaten to sue the IPCC to get them to take his name off their report ? Why would that be wrong? I understand that humans emission of CO2 account for only about 3% of total levels. One erupting volcano should easily be able to outdo that. As several commentators have noted, human malaria is not and never has been restricted to the tropics. It does have a northern limit related to the minimum temperature needed for part of the malaria protozoan’s life cycle, 16 C (~60 F). In the 1800s in Europe, malaria extended north to 68 degrees of latitude, where it isn’t often 16 C, probably because the vector mosquito popuations built up in warm summers and some mozzies bit infected people when overwintering in their houses, and then passed on the disease the next spring. Humans are the reservoir of malaria and the only vectors of human malaria are mosquitoes in the genus Anopheles. These mosquitoes extend well to the north. I have Anopheles earlei in my backyard at 53 N in Alberta and like most Anopheles it is considered a competent malaria vector. The reason I don’t worry about malaria is because I’m not living in a place where a person with malaria is likely to get bitten by an Anopheles. The spread of malaria to new regions or the re-emergence of the disease in areas that once had malaria have everything to do with the relocation of people carrying the disease and the breakdown of public health systems through ignorance, stupidity (e.g. fear of insecticides), and social unrest. They have nothing whatsoever to do with Global Warming. Further to the mentions of Oliver Cromwell dying from malaria: It is thought he contracted the disease while living in the fenlands of East Anglia! I don’t think there was a university there at the time………..
a hard rain comes quickly, for we do like Dylan. ‘When you are in a hole, it is time to stop digging’. But then the fool is so far up his own keester he doesn’t even know he is in a hole! Yes I also saw the Plimer-Monbiot exchange on ABC tv.I must admit that Plimer was very disappointing.By ducking Monbiot’s legitimate questions he made himself look less than credible.I cant understand why he was so fumbling.I have not read his book,but now I will just to see if Monbiot has a point.In my view it is imperative that we present the factual science without reservation.Unfortunately Plimer came off looking like he was hiding something. Off topic … had to post it somewhere. Scammed the world with fake climate lore. Was one free quickie from a whore. There are four different types of malaria parasite: Plasmodium falciparum is the cause of fatal malaria, while Plasmodium vivax, Plasmodium ovale and Plasmodium malariae cause more benign types of malaria. Falciparum malaria can kill, but the other forms are much less likely to prove fatal. In Zambia it would appear that there is a particularly virulent strain of falciparum emerging. From the time of infection to the time of death can be as little as 24 hours with the brain being the apparent target. I have no citations for this assertion other than personal observations and the observations of my nephew who runs a safari camp on the banks of the Lower Zambezi in Zambia. He saw one of his friends die in this way, later proven after an autopsy in Lusaka. By the way, when I was fourteen years old and living in Northern Rhodesia (now Zambia) I suffered from blackwater fever which is another manifestation of malaria and which is frequently fatal. Al Gore’s ‘An Inconvenient Truth” is not a masterpiece, unless we mean that it is a masterpiece of propaganda. Yes indeed, some of the worst mosquitoes in Colorado are around the high lakes, marshes and streams near dense forests. They are unbearable in the high country — Until you get well above the tree line. Been there done that, don’t leave home without mosquito netting. DDT was banned not by science but by an EPA ruling in 1972. And since then, about 35 million Africans, mostly children under the age of five, have succumbed to malaria. Another of the great liberal hoaxes of history. In 2006 the UN’s WHO who tried for over 30 years to find any truth to the damage DDT was doing, found none and again made DDT available. It is the same bribery corruption industry that drives the CO2 scam, same scammers involved, that makes DDT for the most part unavailable to African nations — Else your grant money will go away. Wasn’t it just last week that headlines proclaimed “Two Weeks to Save the World”? Now we have until at least until July? Why would anyone, much less a scientist, fall for this over and over again? there is a correlation here too – though in this case the cause is quite obvious. Warmists are also on line to cause millions of deaths through binding people in (energy) poverty. It is always the poor & badly educated who suffer most from these well meaning idiots. It is not so called deniers/sceptics who need to be on trial for crimes against humanity; it is the warmists along with ecofascists who stopped DDT spraying who are guilty of crimes against humanity – the avoidable malarial death toll is believed to be millions per annum; and have we any idea of the expected mortality from the attempts to destroy western civilization by C)2 reduction – never mind those deaths caused by the bio-fuel scam ? I’ve been bitten by mosquitos at 12,000 feet above sea level here in Breckenridge, CO.
I’ve received mosquito bites hiking in the flatheads of Colorado at ~10,000 ft. I’ve received mosquito bites in the fall hunting elk near Steamboat Springs at Rabbit Ears pass at ~11,000 ft.
We had a State Senator named (?) Deberard who owned ranchland above 10,000 ft. Locals called it the Deberard mosquito plantation. This was in the early 1970’s. Sure it was mate .. it got an Oscar, so it must be a masterpiece. Only problem is that it was issued in the wrong category. It should have been best fantasy movie not documentary. Well the DMI temperature graph just shot way up, so evidently they are generating a lot of heat in Copenhagen. I can testify to this fact of mosquitoes living in cold weather. I was stationed in Alaska in 73 & 74 for the Stratigic Air Command (SAC)! I was a security Policeman. It was fall and we had local “war games” on a regular basis. I was sent into some brush that wasn’t far away from a Munitions Dump we had to protect. It really hadn’t froze yet but the night before it got down to 26 degrees. When I went into the brush that day, it was 33 degrees out. When I was in the brush for five minutes, I came out and was covered in mosquitoes..They wouldn’t bite me but I didn’t take any chances, I brushed them off. They were very slow to respond…I couldn’t believe it…These mosquitoes were of good size…and had a bite you really couldn’t get use too…. DDT has little effect on birds, but interestingly enough, avian malaria has huge impacts. Blunders seems to be the favourite sport of US Vice Presidents. In this league, Al Gore now beats Dan Quayle 15400:1740. Malaria (P. vivax) does not need a warm climate to spread. Two centuries ago, it was endemic in Canada! In China’s high mountain basins (filled of course with the little buggers), life has learned to adapt to these insects. If the truth be known, insects rule, humans drool! We are invading their territory! Not the other way around! Gore and Brown, get lost at Copenhagen. This stuff just writes itself…. talking of factual blunders Monbiot vs Plimer – unbelievable! As to the mosquitoes of Alaska they are large and slow, mostly just annoying. The most voracious mosquitoes that I have met were in the Pit river, Modoc county,Ca. quite small, huge numbers and could penetrate my denim shirt and Levies, and a full set of thermo underwear. Modoc is high desert 4000 to 9000 feet, 40 below 0 F winters …………..My favorite place in the world. No, they have a strong bite. One that you never get use to!!! I lived in a rual area most of my life and after being bit a few times living in the States, I and most people get use to the bite…your body doesn’t respond as bad..unless you are TOTALLY alergic to them! I didn’t get use to the bites up there…I reacted with a large bump every time! Biggest malarial outbreak in recent years was in Siberia in the 1920s and 1930s — 13 million infected, 600,000 deaths — 30,000 died in and around Arkhangelsk, which is smack-dab on the Arctic Circle. I have and it was badly written and badly argued and with a lot of inconsistencies. A big disappointment! Any AGW conference in Mexico City in July should include stock shots of the snow-capped peak and glaciers of Popocatépetl — with the reminder that it’s closer to the Equator than most of those nice, toasty islands in the Bahamas. As far as protesters showing up, two words: Mexican jails. While it is true that 96% of CO2 is naturally emitted, mostly that comes from the biosphere. Volcanoes only emit between 130 – 230 million tonnes per year on average. This is a lot less than the 25 billion tonnes emitted by humans, so Pilmer is not even close. If he actually meant naturally emitted CO2, he should have made this clear. In my oppinion Pilmer is just too fast and loose with facts. And that is why malaria was a major problem for gold miners in the Sierra Nevada mountains back in the ’49er era. It is not the warm, or the wet, it is abatement that matters. I recently watched a non hostile interview with Plimer and found him singularly unimpressive. I feel he needs a bit of coaching from Monckton on how to present his case,otherwise he isdoing the sceptical cause a disservice. I remember being suprised that clouds of mosquitos followed me on to the small snow fields that remained at the higher altitudes. Yes, Alan. I had the same reaction when I moved to the Mountains in the 70’s. In fact there are many, many more mosquitoes up at the higher, cooler levels even in snow than there are where I live 2000-4000 ft. lower. I also wondered when I heard about the mosquito net alleged solution to Africa’s Malaria problem if these people realize that mosquitoes don’t just come out only at night. John, do you have a link to anything on that — especially the threat from the EU? I’ve been searching for the regulation, but haven’t found it. You are aware, I hope, that different species of mosquitoes live in different places. As a rule, mosquitoes in mountains are not those species that can carry malaria. Warming is changing that, and the malaria-carrying mosquitoes are climbing the slopes. You are also aware, I hope, that while some species bite in daylight, malaria-carrying mosquitoes bite in the evening hours — they are nocturnal. Keeping people from being bitten between sundown and sunup significantly reduces malaria. In actual runs in Africa, bed nets have reduced malaria by 50% on the low end to 85% on the high end. We US citizens defeated mosquito-borne diseases in Panama without chemicals by 1915; in the U.S., according to the CDC malaria was defeated and all but wiped out by 1939. DDT was not available to fight mosquitoes until 1946. No nation that has vanquished malaria did it with DDT. No nation that still uses DDT has vanquished malaria. DDT probably is not a panacea against malaria, and it probably never was.